NEW Rhinestone Sticker Decals! Giveaway! We’re SOOOOO excited about our new line of Rhinestone Stickers! Our Rhinestone Transfers are great for clothing and fabrics but with our new Rhinestone Sticker Decals you can apply bling to many more surfaces! No iron necessary! Simply peel and stick to any non-porous surface that needs a little bling. These decals are not permanent but we’ve been testing one on a car window and it has stayed on through extreme heat and wintry weather — and even a few car washes! — for over 8 months now! Decals can be removed cleanly from most surfaces. Perfect for car windows, mirrors, lockers, travel mugs, electronics, binders, and even kitchen appliances! The Keurig coffeemaker in the Jubilee Studio recently got a bling makeover! View our easy application instructions and see pictures of our fancy new coffeemaker HERE. We’re kicking off this new product line with a sale and a giveaway! ALL of our new Rhinestone Sticker Decals are on sale — check out our selection and grab a few to try out while they’re discounted. We’ll add more designs in the future but we’ve got a great group of Rhinestone Stickers available now. Leave a comment on this blog and be entered to win one Heart Rhinestone Sticker AND one Cross Rhinestone Sticker (pictured above). We’ll select THREE winners so share this giveaway with your friends! 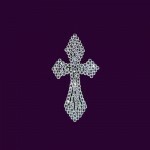 Check out our Rhinestone Sticker Decals collection and let us know what other designs you’d like to see added soon! Comment entries will be accepted through Wednesday, February 27th and winners will be notified the following day. Please share our exciting news with your friends! And we would LOVE to see pictures of how you use your Rhinestone Stickers! Love your site. Found it today and you have just what I have been looking for! Thanks! I love your new stickers! I would like to see some butterflies and dragonflies, as well as some rodeo themes!! Keep up the good work!! My neice would love those! Thanks for the giveaway!!!! What a great idea! This is exactly what I’ve been looking for an cannot wait to get me some!!!!!!! Those rock! My girls are gonna have to get some of those for their chore chart prizes! These are awesome! I could see so many things being decorated with these new “bling” stickers! 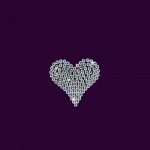 I love the heart bling! It is so pretty. I would use it with my paw print bling for rescues! Love them! Glad you have them now! I love anything Lacrosse or Football. My some plays both sports. I love anything cowboy…or cowgirl..you get the picture LOL gotta Love That Bling !! These are so adorable and to think you can show your bling going down the highway….much fun! I’m excited!! 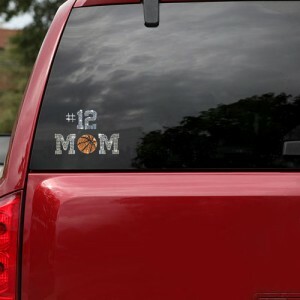 I’ve been wanting to get one for my car and to advertise my business! I’m going to buy some now!! !